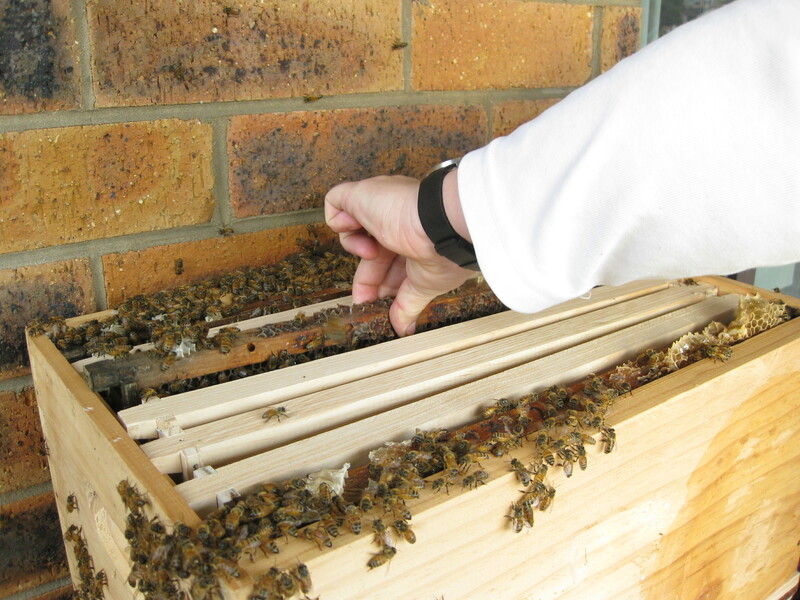 You may recall that in June I blogged about the hive I got back in March?... if not, you can read about it here - http://queenbcandles.wordpress.com/2011/06/12/popping-in-to-see-the-girls/. 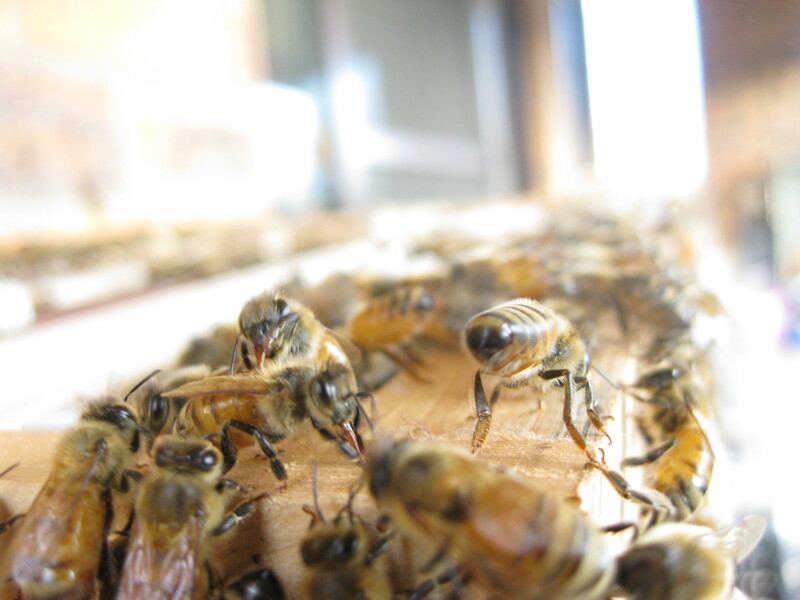 Well, Spring has sprung and 'the girls' appeared to be outgrowing their neuc hive. This week I decided to give them a fully fledged 'grown up' hive before I went away. At the same time one of our candlemakers asked me if he could come and see the hive as he hadn't seen a hive before (although he works with bees visiting him every day)! Alas, there went my bee suit! So, with no gloves or veil, and a pounding heart, I rehoused the girls and Friday and I have to say that it was absolutely extra-ordinary. What a rush. Lucky I did it when I did because they were getting seriously cramped. 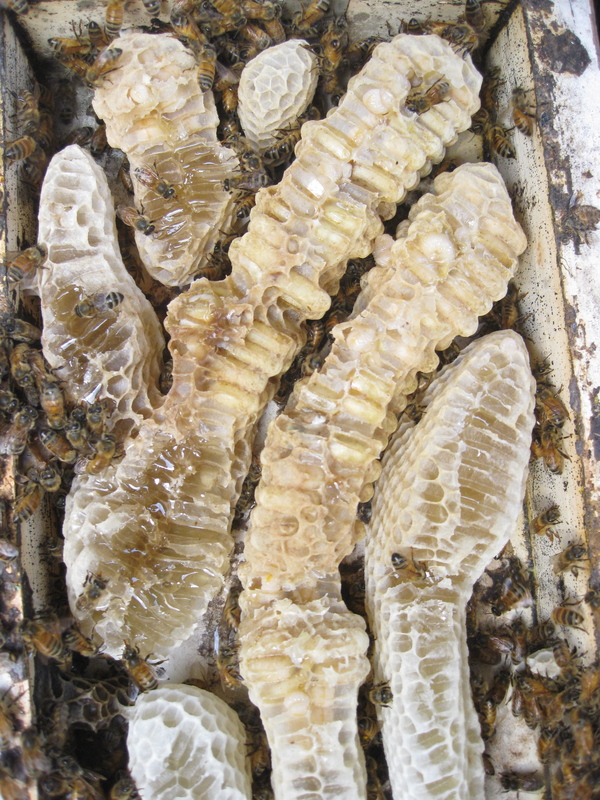 Here's a look inside the lid of the nucleus hive. 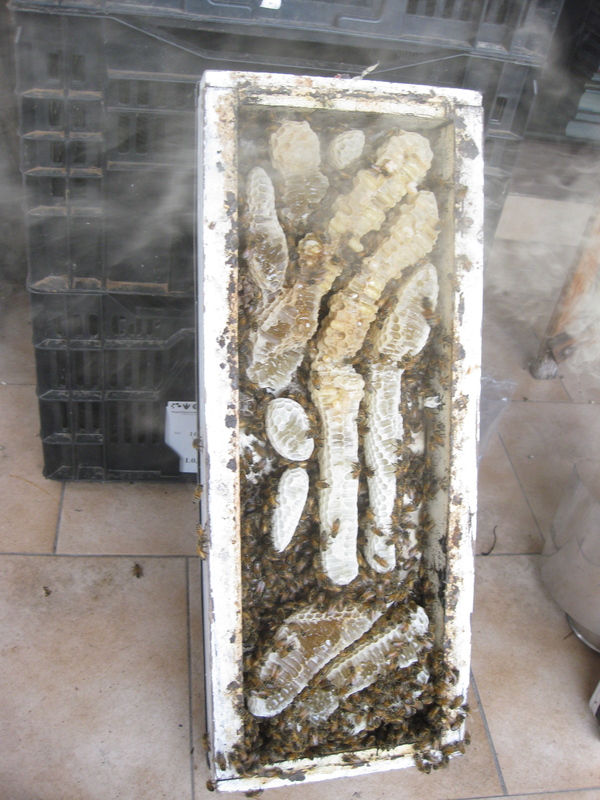 There are 3 large sections on the top right full of drone brood (ie larvae of drone bees). 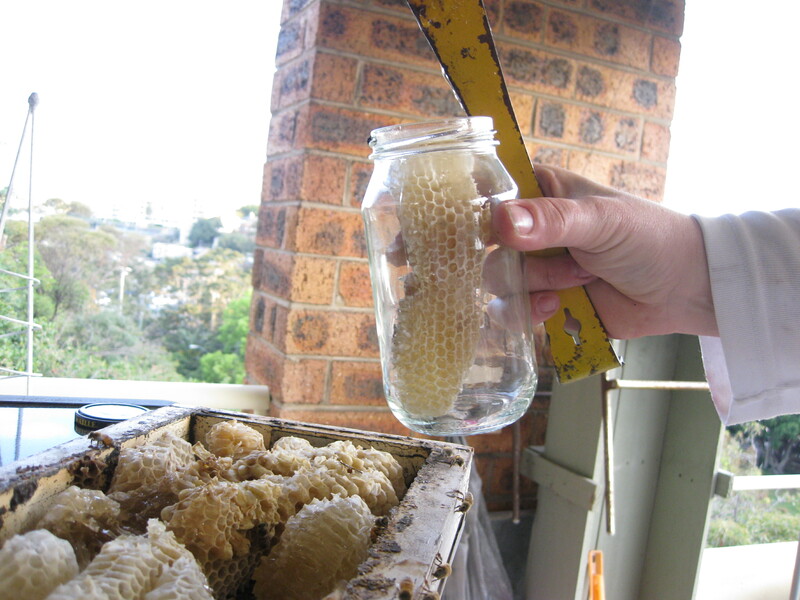 There were also 2 big sections of unripened Neutral Bay honey and a couple of sections of comb which had been built, but had nothing in them yet. And finally, the prize! Whilst the honey wasn't even ripened yet, I couldn't resist taking a little for my excited little candle-maker to share with his flatmates and for me to share with my niece and nephew who had been watching the bees with me just a few weeks ago. I am happy to report that Neutral Bay honey is a lovely light honey, mild in flavour (partially because it hadn't been ripened properly yet) with fruity notes and strong pine needle smoke overtones!! I think I may have gone a little overboard on the smoke at one stage! This entry was posted in Bees & Honey and tagged honey, bees, beekeeping, balcony beehive on September 18, 2011 by queenbcandles. 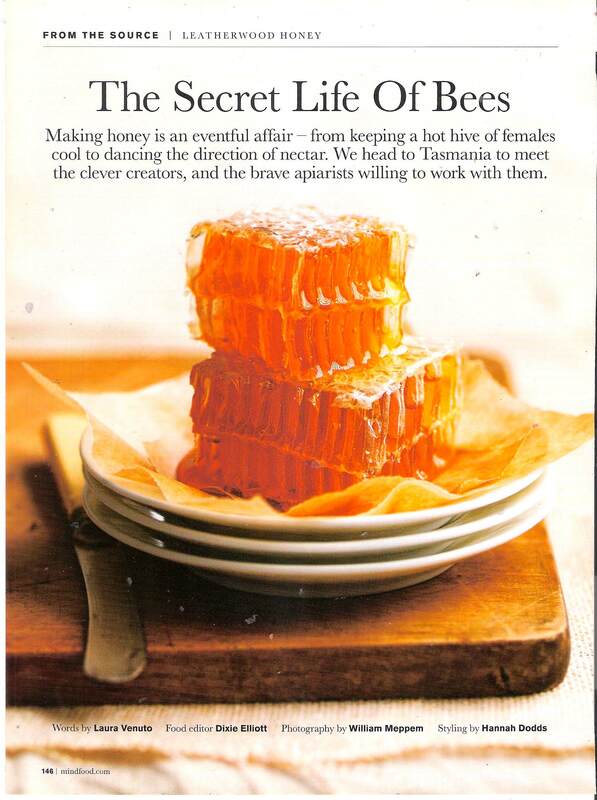 I just came across an old issue of Mindfood magazine which had a great article on beekeeping in Tassie... with a couple of super recipes - Honey Madeleines and Cinnamon and Honey Swirl Teacake. I think I'm going to give those madeleines a bit of a run myself this weekend. This entry was posted in Bee-Related Media, Bees & Honey, Recipes and tagged Tasmanian honey, mindfood, honey recipe, honey, beekeeping on September 10, 2011 by queenbcandles. I don't usually blog about specific wedding unity candles that I hand-paint, but I was a little excited about how these turned out. The bride said she'd be happy with an outline of the design. I got carried away in the moment and we delivered this (I've removed the family name's to protect identity). Yay. Pretty happy with that. Hopefully the bride will send through images from the day and then I'll share those here too. 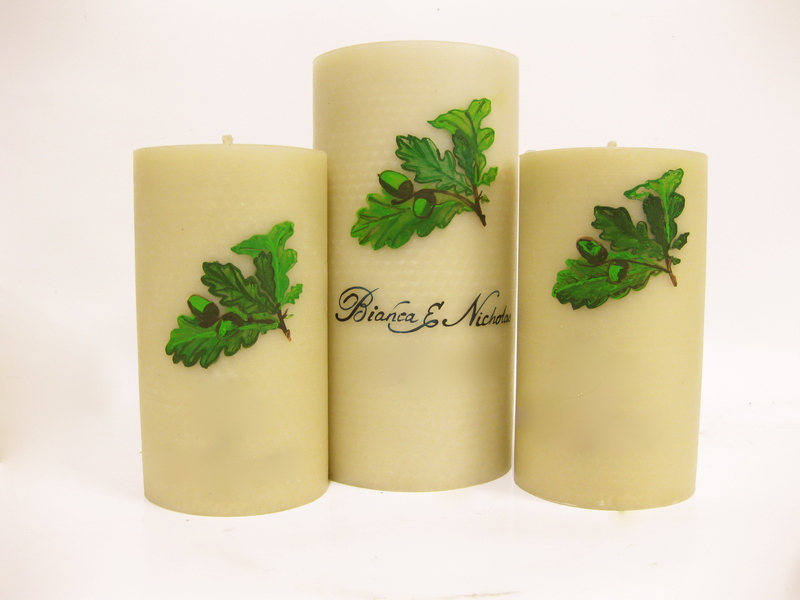 This entry was posted in Beeswax Candles & Candle Making, Wedding candles and tagged wedding candles, unity candles, hand-painted, hand-made on September 6, 2011 by queenbcandles. A few weeks ago I was in Melbourne showing our Queen B candles to potential retailers. These trade shows are typically quite generic and soulless... lots of white or glass shelving, tables and plinths showcasing tens of thousands of products, the vast majority of which were made offshore. The build team who set up these trade shows are always excited to see what Joost has in stall as we typically arrive in his big, yellow van with all manner of rusting, rustic frame work on the roof and foliage busting out of the all the doors. It is amazing to see this cacophony of chaos morph (with a little help from Joost and his team) into a beautiful stand in which to show Queen B candles. This year was no exception to the norm with more people wanting to buy Joost's succulents borrowed from the plant wall on the side of his house than wanting to buy Queen B candles! But you get that. After 6 years my skin's a little thicker and now I love doing it for both of us. It is funny how many people stopped to touch the succulent on the corner and to question whether it was 'real' - the assumption being it was fake because it looked so perfect. Great intro to say that everything on the Queen B stand was alive and natural... including the Queen B candles. This entry was posted in Business Musings and tagged new product, Joost, Greenhouse by Joost on September 5, 2011 by queenbcandles. One of the most oft asked questions at the Hive is what holder to use for the Bee Lights... and as they are one of my all time favourite candles I thought them worthy of all all time favourite candle holder. Now... drum roll... 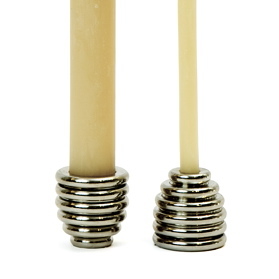 I am delighted to announce the launch of our Reversible Beehive Candle Holders. 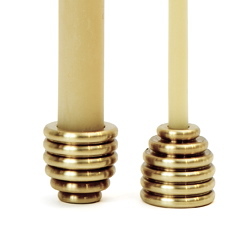 Available in both brass and nickel-plated you can use this holder for Bee Lights on one side or Tapers on the other. Clever or what?! Good one Scotty (clever metal worker). Yes, these are made in Australia. Extraordinary at these prices, I know. Particularly when you pick one up and feel how heavy they are... yes, you get that with a quality, solid, hand-made in Australia product. Just ask all the people who wanted Bluescope Steel and have had to settle for something inferior. To kick things off we're offering 10% off until 11.59pm on 5th September 2011. Yes, that is only 3 days. for $69.95. That's a 12.33% discount to what you would usually pay, and we have an additional 10% off until 11.59pm on 5th September 2011. Bargain. This entry was posted in Candle holders & Accessories and tagged new product, candle holder, bee lights, Australian made on September 1, 2011 by queenbcandles. The role is full time and will involve working on Saturday's. We are prepared to be a little flexible with hours for the right person. 2. How would your friend's describe you? 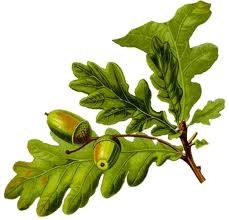 This entry was posted in Beeswax Candles & Candle Making on September 1, 2011 by queenbcandles.